Congratulations to "Colleen C.", the winner in Angi's giveaway. Thank you to all who participated! I had a totally different post planned for today. Then Alan Rickman died. Normally, I think how sad for an actor’s family and loved ones. Several days later and I’m still sad. He was the bad boy personified…that voice !! The way he delivered a line. And he had a lot of them. I, like many Americans, first noticed him in Die Hard (a movie I never tire of) with what became an iconic death scene. … Because it’s dull, you twit. It’ll hurt more. I will remember Alan Rickman right up there with John Wayne, Katherine Hepburn, Fred Astaire, Karen Carpenter…and many others who have given us so many countless hours of entertainment and great places to forget about reality. 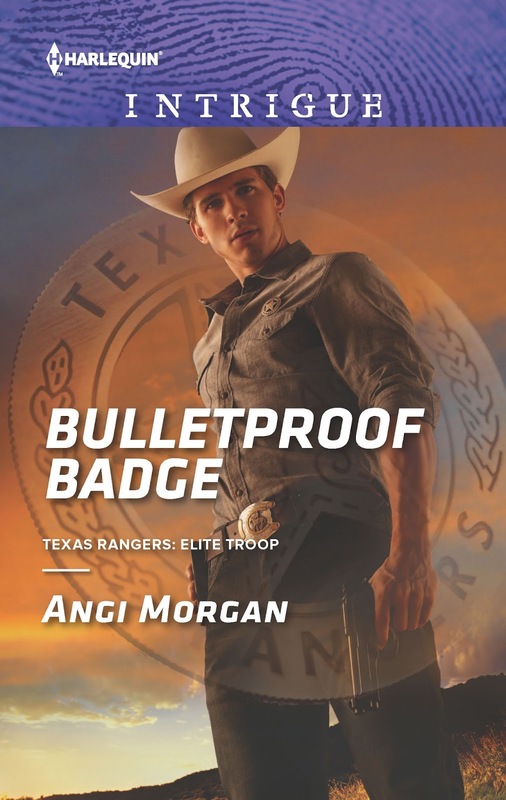 ANGI MORGAN writes Intrigues where honor and danger collide with love. Her work is a multiple contest finalist and Publisher’s Weekly best seller. She drags her dogs–and husband– around Texas for research road trips so she can write off her camera. They now have a map with highlighted roads they’ve traveled. Every detour somehow makes it into a book. 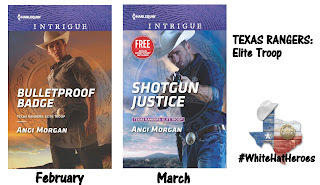 Leave a comment to be entered for an autographed copy of SHOTGUN JUSTICE (international drawing ends at midnight 1-19). 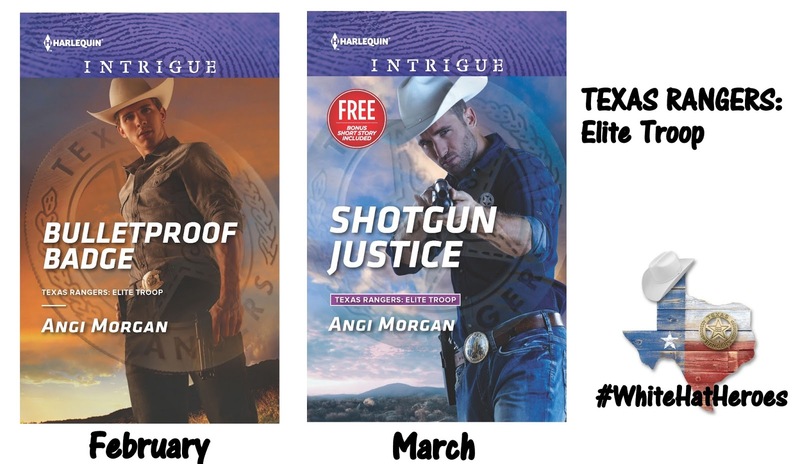 Enter the Rafflecopter drawing for an autographed copy of SHOTGUN JUSTICE before it hits shelves (ends 1-31). Giveaway on JRS ends at midnight Jan 19th. Giveaway through Rafflecopter ends on January 31st. Contestants who enter the Rafflecopter drawing can register for additional chances by leaving a comment on Just Romantic Suspense, click the JRS comment to receive your extra entries. WHO IS YOUR FAVORITE CHARACTER PORTRAYED BY RICKMAN? Check out more giveaways on the JRS SHOWCASE. That's just what I needed to hear to push through the ending of this book. He was great in Die Hard... enjoyed his character in Harry Potter too... sad news. He will always be remembered as playing interesting characters. He was such a talented actor and made you either love or hate his characters....kind of like the way you write your characters for the Harlequin Intrigues, the way you bring them to life. Loved all his movies: Robin Hood, Die, Hard, Harry Potter, and of course Galaxy Quest. He will be missed. And yes, he will definitely be missed. I was so sad to hear of his passing. I adored the way he played the villain. He made you care about them, sometimes even crush on them a little, even when you tried hard not to. A real loss for us all. I totally agree. 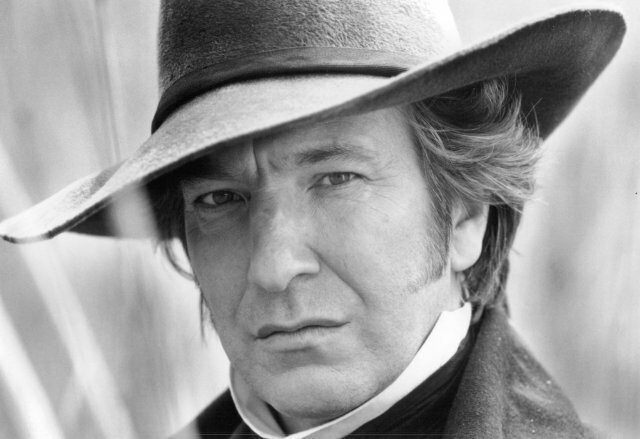 When I write villains...it's sort of hard not to make them all Rickman. Even though he was a bad guy one of my favorite movies of his was Robin Hood Prince of Thieves. Although his portrayal of Professor Snape is a favorite too. ALWAYS. Severus Snape. I loved his work in other titles like Robin Hood and Die Hard, but I truly can't imagine anyone else ever playing the role as well as his performance. Bertha --have you read some of the articles about how Harry Potter was written. I believe JK Rowling actually envisioned many of these actors as she wrote the characters. It's sort of cool they ended up portraying "themselves"
Hi Angi! Alan Rickman is priceless as the depressed robot in Hitchhiker's Guide to the Galaxy. Makes me laugh every time. I had totally forgotten about that ! Thanks for the reminder. My favorite portrayal has to be as Col. Brandon in SENSE AND SENSIBILITY. How could Willoughby compare? I loved Alan Rickman. Snape in the Harry Potter movies is my favorite character he played. He was constant, yet surprising ! I NEED TO SEE THIS ONE ! Yes I loved him in Truly, Madly Deeply Too. Amazing range. He could play a hero or a villain with equal ease. So talented. THANK YOU, VIRGINIA !! I hope we have a long reading relationship ! !